Thanks David Cutts, for the fave of my work! 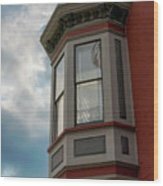 A unique 7-sided oriel window on the corner of a building in South Baltimore. 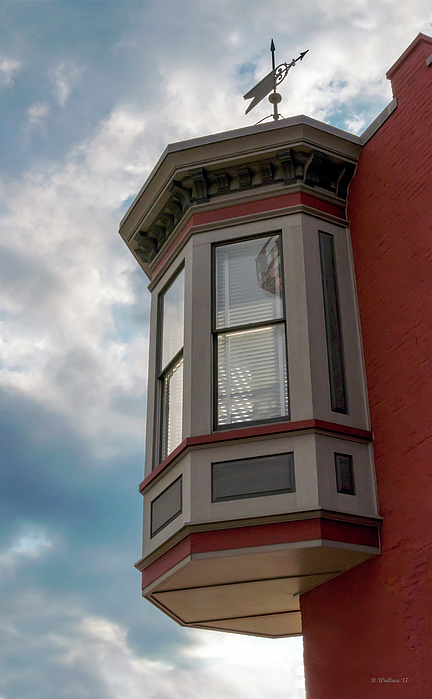 This architecture was found near the Baltimore Museum of Industry. A weathervane rests atop the structure on the second floor roof. An oriel window is a form of bay window which projects from the main wall of a building but does not reach to the ground. Supported by corbels, brackets or similar, an oriel window is most commonly found projecting from an upper floor but is also sometimes used on the ground floor. 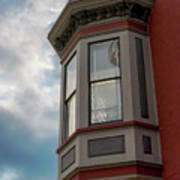 Oriel windows are seen in Arab architecture in the form of mashrabiya. 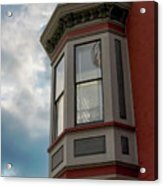 In Islamic culture these windows and balconies project from the street front of houses, providing an area in which women could peer out and see the activities below while remaining invisible.